Greetings! Welcome to my Dynamics AX 7 and related MS Technologies blog. It's been a while, since I did a blog post. The reason being super busy with implementing Dynamics 365 For Finance and Operations and Retail for few clients of mine. As, I'm now doing consulting for my own business, it really gets hard to find time to do a detailed blog post. 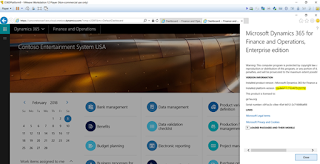 In the last 3 years since Dec 2015, I have been extensively working on the new version since it was called Dynamics AX 7 on TAP Programs, delivering training to partners and customers, Implementing and Upgrading to Dynamics 365 For Finance and Operations, Implementing Dynamics 365 For Retail and integrating between CRM (Sales) and Operations via Common Data Services. I will share that experience in a different blog post. For now, Let's get started with this post. 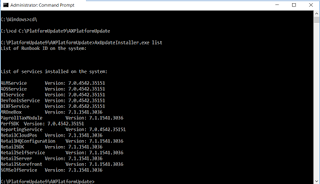 In this particular post, I'm putting down the steps involved to install Platform Update 11 on a Local Developers VM. My post supplements Microsoft's documentation and additionally it lists down the steps with some more details and screenshots and towards the end of this post, you will notice how I validated and verified if my PU installation was successfully done. depending on your bandwidth, to download. 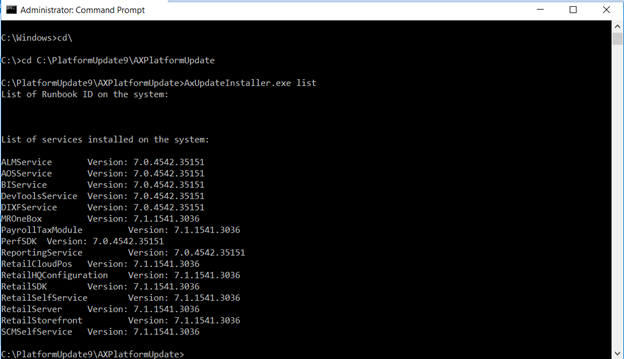 AXUpdateInstaller.exe generate -runbookid="LocalDev-runbook" -topologyfile="DefaultTopologyData.xml" -servicemodelfile="DefaultServiceModelData.xml" -runbookfile="LocalDev-runbook.xml"
This will take some time as it starts executing each of the steps in the runbook. After 15 to 20 mins, it will come up with a message Everything is OK and will be static for more than 15 mins, but don’t abort it, still the scripts are running in the background, Let it finish. o For e.g. to analyze the downtime requirements for production, and so on. o To send the file to Microsoft in the event of failure to install a deployable package. o. Verify if the components are updated correctly. That's all for now. 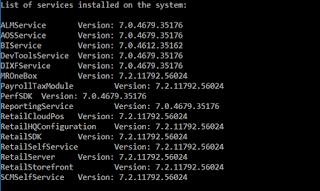 Hope it gives you an idea on how to do a PU Update on a Local Developer's VM. Note, each PU Update may have slight differences here and there, so I always recommend to visit the Microsoft docs site to get the up-to-date documentation before you perform these steps. ARM (Azure Resource Manager) groups the resources required for your Dynamics 365 for Operations instance in the cloud-based Azure OS. Azure Resource Manager enables you to work with the resources in your solution as a group. We can use a template for deployment and that template can work for different environments such as testing, staging, and production. 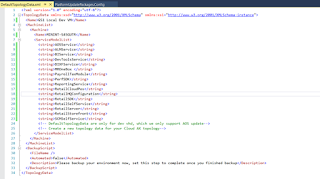 Let's now talk about how to configure ARM before deploying a new Dynamics 365 for operations environment. 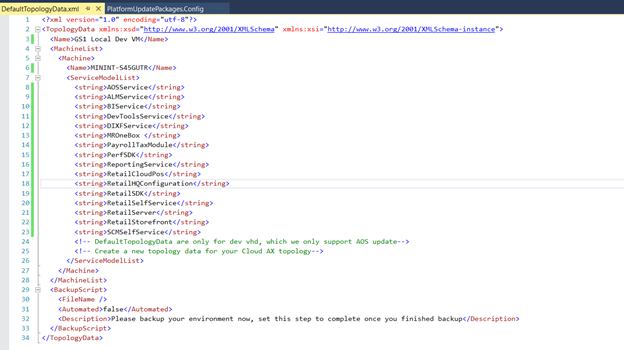 Once you click on Microsoft Azure Settings, you will see the below page where you need to Authorize the tenant administrator of the organization, access to Dynamics 365 for operations application. For this, you will need to click the Authorize Link under the Organizational list group. 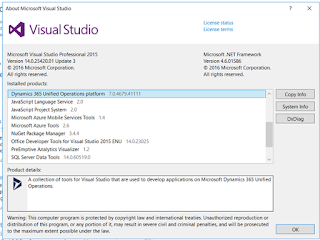 A new window gets opened as shown below where you have to enable Dynamics Deployment Services. Tip - At times, I have seen you have to click on the Authorize button multiple times to get the status as "Authorization complete"
For Option b, you can do this by launching the New Azure portal and then add the tenant user to the subscription as a Contributor. I got half a dozen email since yesterday from Microsoft as I have few Dynamics AX 2012 R3 and few Dynamics 365 for Operations VM running under different subscriptions. Note: If you do not have any Microsoft Dynamics 365 for Operations or Microsoft Dynamics AX 2012 environments deployed in your own Azure subscriptions, you can ignore this mail. In response to the recent global WannaCrypt ransomware attack, we recommend all Azure customers that have Dynamics 365 for Operations or Dynamics AX 2012 environments deployed in your own Azure subscriptions, to take the steps called out in the WannaCrypt Attacks: Guidance for Azure Customers blog post. This applies to environments in your subscription like demo and dev environments. 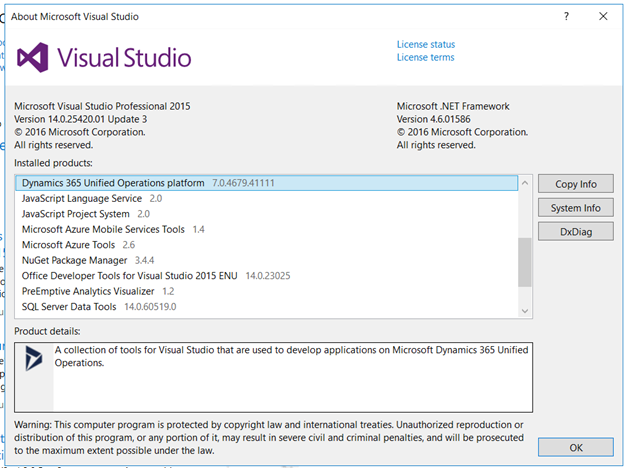 Environments managed by Microsoft are already being proactively handled by us. Please take the above steps immediately to run a secure infrastructure and to protect your organization from attacks like these today and in the future. This is an update to my previous post - https://daxdilip.blogspot.com.au/2017/03/dynamics-365-for-operations-tip-mobile.html, where I shared a workaround on how to view the out of box mobile workspaces from System Administration > Parameters form and publish them. Previously on wiki, We had Inventory on hand and sales order workspaces, but looks like they are not ported to the new Dynamics docs site. In this post, I will walk through an example of setting up mobile workspaces for sales order and inventory on hand. Download KB 4013633 (an X++ update or metadata hotfix). This contains four mobile workspaces for supply chain management. 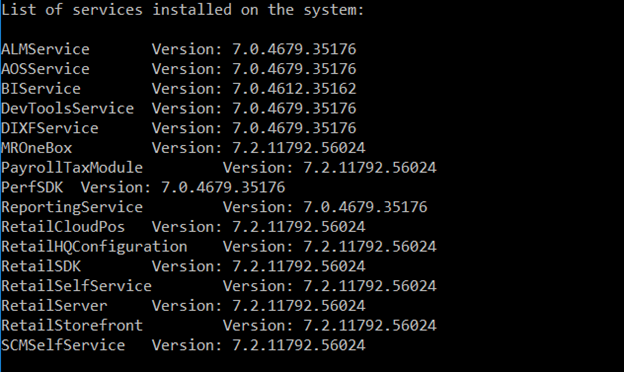 Once you download the hotfix, extract it to your VM where you want to install the hotfix. Since this is a metadata hotfix, this needs to be treated bit differently, as it can't be installed from Asset Library. Now, you should be able to go to your environment where you want to apply the deployable package and then click on Apply Updates from maintain environment and select the deployable package and start deploying. The environment will go into Servicing state and no one will be able to use the environment at this point. This may take 1 to 2 hours to get deployed. Below code snippet, helps in creating and posting a Daily Ledger Journal via code. Please assign proper Chart of Accounts before using it.